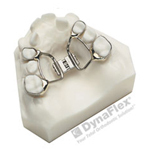 The Forsus appliance reduces overbite by encouraging the lower jaw forward and the upper molars backward. 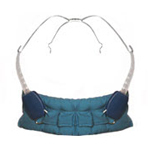 This fixed appliance is used mostly for younger, growing children and is worn for about 12-15 months. Ceramic braces are made of clear materials and are therefore less visible on your teeth than metal braces. For this reason, ceramic braces are suitable for older teenagers and adult patients who have cosmetic concerns. They do require more attention to oral hygiene. 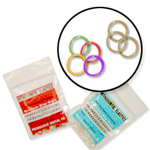 Ceramic braces and white wires can be used on the upper teeth and on the lower front teeth. 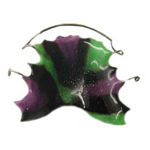 Retainers may be removable or fixed. This picture demonstrates "Hawley" retainers which hold your teeth in their new, correct positions after your teeth have been straightened. 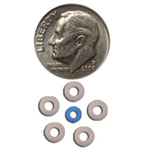 Your orthodontist will instruct you on how to care for your retainer and about the duration of the wear. 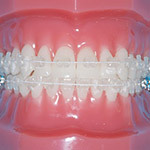 Wearing your retainer as directed is crucial to prevent regression of your treatment. 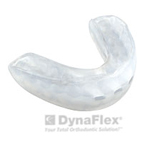 Retainers may be removable or fixed. 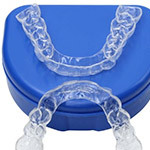 The above picture demonstrates "clear retainers" which hold your teeth in their new, correct positions after your teeth have been straightened. Your orthodontist will instruct you on how to care for your retainer and about the duration of the wear. 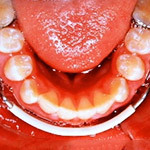 Wearing your retainer as directed is crucial to prevent regression of your treatment. 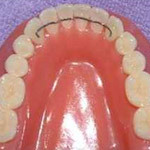 Bonded wire retainers are cemented to each tooth and holds the positions very exact. They hold your teeth in their new, correct positions after your teeth have been straightened. 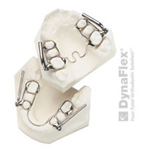 Lip bumpers are used in the lower jaw to help create space and are usually worn for approximately 5 to 9 months. 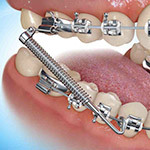 After removal, appliances (braces) are then placed on the teeth.